Great Plains Industries, Inc. is a leading manufacturer of AC fuel transfer pumps, DC fuel transfer pumps, Diesel Exhaust Liquid (DEF) products, methanol pumps and meters and fuel transfer hand pumps. 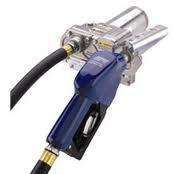 GPI is the number one brand of fuel transfer pumps sold at retail. GPI offers a full line of gasoline transfer pumps, diesel transfer pumps and fuel meters designed specifically for agricultural fueling , construction fueling and fleet fueling applications. We also have specific products for use with oil and chemicals. Our high-quality products are designed, engineered and tested to exacting standards before being introduced to the market. Products built by GPI are 100% functionally tested to ensure years of dependable service. Most products from GPI carry a full, two-year warranty. We are proud to provide you with a quality product and excellent support after the sale. GPI High-Flow Electric Pumps – Special applications require a special pump. Do you need a high-flow 25 GPM pump to transfer fuel in a hurry? GPI offers models with or without hose and nozzle and with a straight or weight-centering base. These pumps fit high-flow applications. 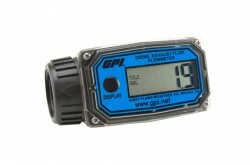 When Choosing a GPI Electronic Digital Meter start by asking how the meter will be used. Consider the application and fluid compatibility to determine the best meter for you. These meters are compact and lightweight, just what you need at the end of a fuel hose before the nozzle. GPI Hand Pumps for Chemicals: Harsh chemicals require a different kind of pump. Chemicals can damage internal seals and pit the internals of a pump that is not specifically designed for chemicals.